Ahead of the Asia Ministerial Conference on Tiger Conservation, suggestions for PM. On April 12, Prime Minister Narendra Modi will inaugurate the third edition of the Asia Ministerial Conference on Tiger Conservation at Vigyan Bhavan in New Delhi, which will have 13 participating tiger range countries. All these tiger range countries will share their good practices and success stories, thereby contributing towards the cause of conservation. One expects that India will take the lead - not because it is a host country, but because we have the maximum number of wild tigers in the world at 2,226, a jump from 30 per cent since from a shocking 1,411 in 2006 to an encouraging 1,706 (all mean figures from the estimated range) in 2010. It is a matter of tremendous pride, that a country like India-with its booming population, high population density, grinding poverty, a consumptive middle class and imperative to develop, harbours the maximum - about 60 per cent of the world's wild tigers. But along the way, we got so enamoured by the "2,226" aura, we believe that "all is well with the tiger". The factors which helped tigers bounce back and given India a position of leadership in its conservation: political will and a commitment to protect its last remaining habitat seem to be at an all time low. Shockingly, the tiger is being pitched as a "hurdle" in the country's development. As per reports, even the country's Supreme Court observed on January 20 that "conservation of tigers was important but could not be at the cost of general economic development of the country," in context of expansion of a highway through a vital tiger corridor. 1. Tigers are not secure in India (to be fair, across its range). We have has lost the highest number of tigers to poachers and illegal killing in 2016 in the last 15 years. According to data compiled by the Wildlife Protection Society of India, the last peak was in the first quarter of 2001, when 30 tigers were poached (including seizure of body parts, skins). Between 2002 and 2015, the number of tigers poached in the first three months of a year varied from three to 16. But the news is grim again in 2016 - 25 tigers have been killed, including seizures of skins and other derivatives, till March 31. 2. Tigers are not secure even in our best celebrated reserves. 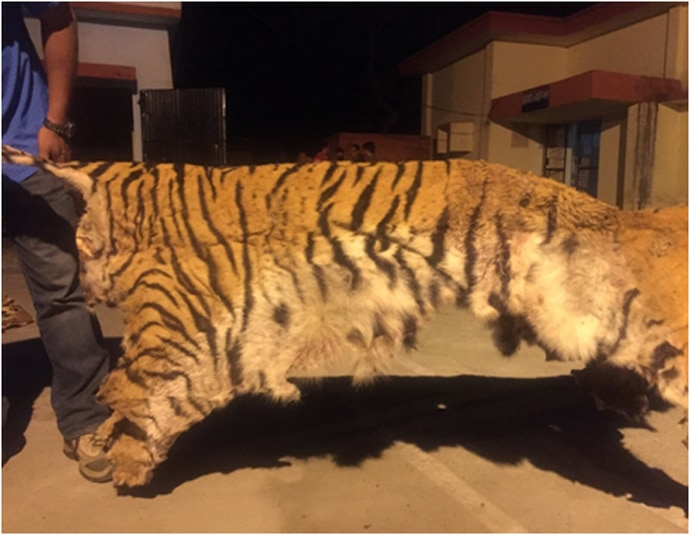 On the night of March 13, five tiger skins plus 125kg tiger bones were seized near the Najibabad-Hardwar road by the Uttarakhand Police's Special Task Force. The poachers confessed that they had killed the tigers in Corbett - and subsequently buried the skins across the border in Bijnore district (Uttar Pradesh). A tigress captured on camera in the Kalagarh range of Corbett National Park in 2007. She was subsequently seen in the Sonanadi rage, in 2015. This was corroborated by the Wildlife Institute of India where scientists matched the skins to tigers captured in camera-traps. 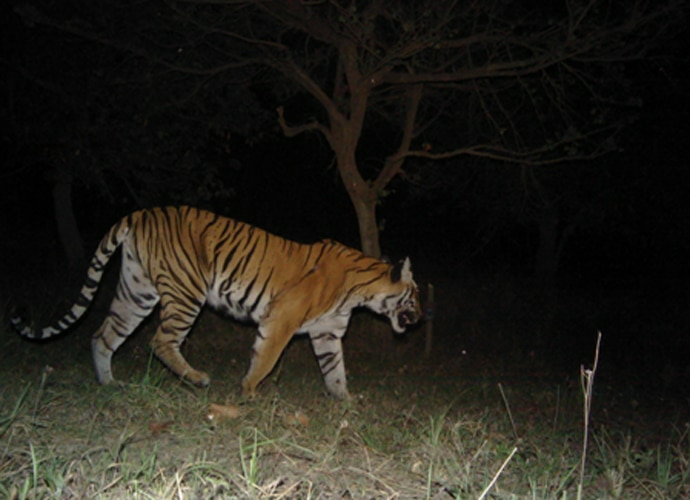 Four of the tigers had been camera-trapped over the past few years within the core critical tiger habitat of Corbett. As per reports, concerned authorities were given intelligence inputs (since November 2015) of movement of poaching gangs in the landscape. But the killings, as is evident, continued. 3. Another star park, Pench (Madhya Pradesh), lost three tigers at one go. A poisoned waterhole resulted in the loss of a tigress (a favourite of the tourists, called "Baghin nala" tigress), and a generation of four young cubs. Two succumbed, two were rescued, but as young - about seven month-old orphaned cubs - they are lost to the wild. One week later, a poacher was arrested at Pench Tiger Reserve with four tiger paws. The tiger's mutilated body was found buried two days later. 4. It is pertinent to note that in February and March 2007, eight lions were poached in and around the Gir National Park in Gujarat. In an unprecedented effort, the then chief minister, Narendra Modi moved the state's machinery - CID, forensics, outside experts, forest officials worked collaboratively to ensure all the guilty were arrested and convicted. Surely, the tigers - and other endangered wildlife - deserve a similar effort? Import this Gujarat model! 5. It isn't just poaching, though. We are signing away prime tiger habitat. One of the items in the agenda of the Asia ministerial conference is to discuss the possibility of translocating India's (and perhaps other countries) wild tigers to Cambodia, where it has been extinct since a decade, and also to Myanmar and Thailand. I am not - for the moment - going into the merits or demerits of this. If it pans out, India will be the guiding force because we have successfully reintroduced the big cat to Panna and Sariska, after they went locally extinct. But will we also teach Cambodia, that after our tigers have touched their shores, and - hopefully - made it their home, they could drown the forest, or mine it? Because that is what is slated for Panna. From zero in 2009, Panna has more than 30 tigers now - half this population could potentially drown with India's first river linking project Ken-Betwa, which is located within the reserve. The river link will directly submerge 89sqkm - the impacts of construction will be far greater. The Ken-Betwa river link will be end of Panna, and its tigers. The mine on Panna's edge has failed to meet environmental standards, and new mines are slated in the landscape - which serve as corridors for Panna's tigers. 6. It's not just Panna, other lesser know tiger reserves, like Palamu (Jharkhand) are threatened similarly too. More than 10 per cent of the reserve is set to be drowned under the Kutku dam. 7. The expansion of NH 6 and 7 cuts through the finest tiger landscapes in the world, including the Kanha-Pench landscape. Expert advised mitigation measures were dumped citing shortage of money. The minister for environment, forests and climate change, Prakash Javdekar was quoted as saying, "We are a poor country and must be practical." Oh? And here I thought we were the next economic superpower. To expand NH 7, wildlife and forests laws were broken, bent; tiger concerns dismissed. The logical end of such splintering of habitat, accelerated and aided by other projects - mines for coal, railway lines, industry-is local extinction of tigers. Even as I write, and the prime minister speaks; new roads are being planned, constructed, expanded through tiger habitats-such as Dudhwa (Uttar Pradesh), Manas and Kaziranga (Assam), Rajaji (Uttarakhand), Kudremukh (Karnataka), to name a few. Tigers occupy just about two per cent of India, here, it least , it is the tiger that should hold sway. Priority habitats need to be preserved - whatever the cost. Even if it means that we take one hour more, or take another 70km to reach a destination -which is what the alternate route of NH 7 takes. 8. The Centre is evading its responsibility for Project Tiger. Since its inception in 1973, the scheme has entirely been funded by the Centre. This year onward, the funding has shrunk to 60 per cent with states expected to contribute the rest. States, traditionally, give low priority to the wildlife sector, and allocations have been very poor. India's environment minister Prakash Javadekar himself said that the 30 per cent increase in tiger population was "largely attributable" to the Project Tiger scheme being completely funded by the central government, citing voluntary relocation, strong anti-poaching infrastructure, special tiger protection force et al as reasons for its success. Then why has the support been withdrawn? 9. Forests are being redefined to include only those with more than 70 per cent cover, leaving many fragile, crucial ecosystems like grasslands, wetlands, scrub forests, mangroves out of its ambit. Many of these include tiger habitats. 10. Tigers don't need drones, atleast it is not on the top of their priority list. Thing is India's reserves are not savannas, most are thick moist deciduous forests, some impenetrable evergreen. The technology therefore is not very suitable. More importantly, nothing, nothing will replace the foot soldiers - forest guards who are on the frontline of protecting wildlife-and that is being grossly neglected. There is severe shortage of staff in most protected areas, including tiger reserves. In Palamu (Jharkhand), the shortage is more than 95 per cent (yes, you read me right), and within a year there will be just two forest guards manning the 1130sqkm entire reserve. That is the ground reality. 11. It's a war out there: Wildlife crime is organised, lucrative; forest resources scant and in demand. Foresters who protect wildlife do a very risky job, many are killed while protecting wildlife and forests. A forest guard in Tadoba (Maharashtra) in 2014 was killed by an encroacher he took on. Corbett's boatman who manned the reservoir drowned (help in remote regions takes time). Last week, a jawan of Uttarakhand's Special Task Force was shot dead by poachers while on an operation to seize leopard skins. As per the International Ranger Federation in 2012, India lost 34 rangers. Prime minister, sir, we need to honour our Green Army, and recognise the sacrifices they make to save our vital ecosystems and wildlife. 12. Last, but not the least, is the intent to overhaul - and dilute - forest and wildlife laws for which a high-powered committee was appointed. These have been the bedrock of protection, provided the legal and policy framework to protect and conserve wildlife. If the laws are tinkered with, and diluted, it is the end of the tiger. Mr PM, India holds tigers in stewardship for the world. In your victory speech you promised "taking all along" in India's development. And we hope, this also encompasses rare - and mute - denizens under our care. Truth be told, Sir, we have no choice, for it's the tiger-the steward of the forests, which provide a host ecosystem services: water security, food security, carbon sequestration, binding and nurturing soils and even influencing the monsoon. Without the forests, our dreams of development will fall hollow. Environment damage is costing India around 5.7 per cent of its GDP every year, as per the World Bank. It is tiger who will ultimately fuel, and sustain, our dream of being an Asian tiger.